Climb aboard our spinning disk! With it’s outwards facing seats, it’ll get you in a spin as it glides back and forth whilst spinning you in circles. 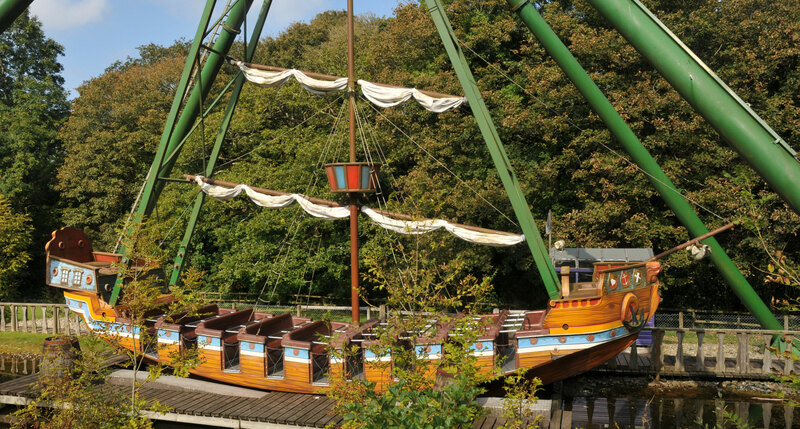 It’s one dizzy ride, and a great new addition to our ride offering here at Oakwood Theme Park! 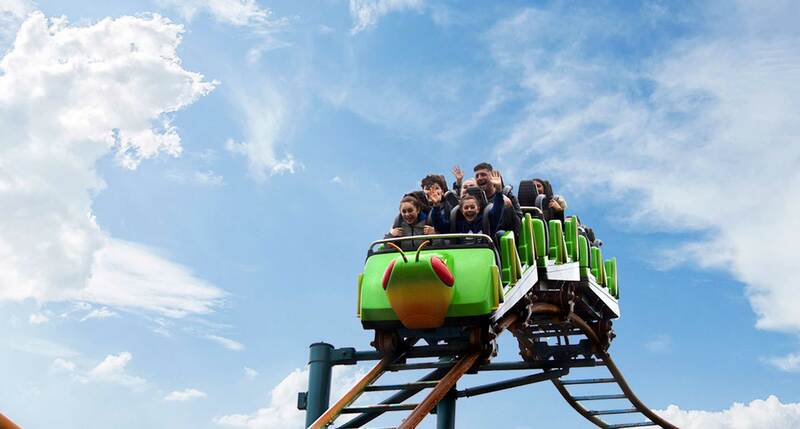 Step inside our over-sized Grasshopper train and take fright! It’ll be fast, twisty and bumpy, so hold on tight – if you dare! 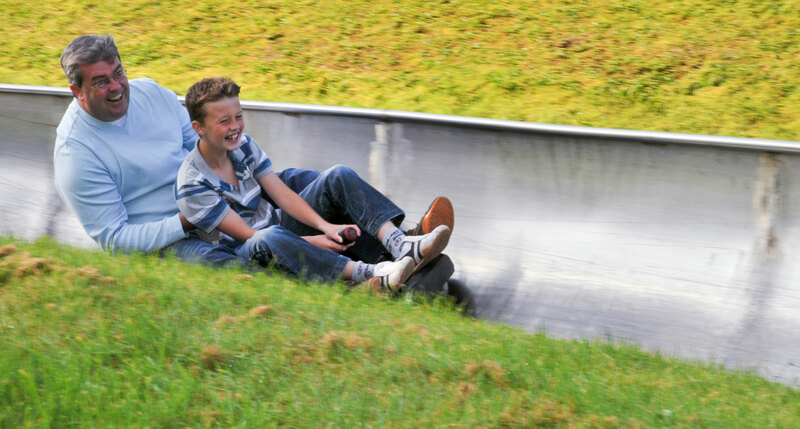 Go it alone or team up as a two and take a ride on our downhill Bobsleigh run. Our sledges get faster as you descend the hill – make sure you brake for the end! Do you dare to enter our haunted house? Climb aboard a cart, put on a pair of 3D glasses, and hold on tight – you’re in for a ghoulish ride! Go for a magical adventure through the woodlands surrounding the park. Set high up in the treetops, you’ll twist, bend, and drop through the tree canopy. As one of our most popular rollercoasters, this ride has been thrilling generations of families for nearly 30 years. Climb up the steps and choose between our speedy open slides and our twisted tubes. 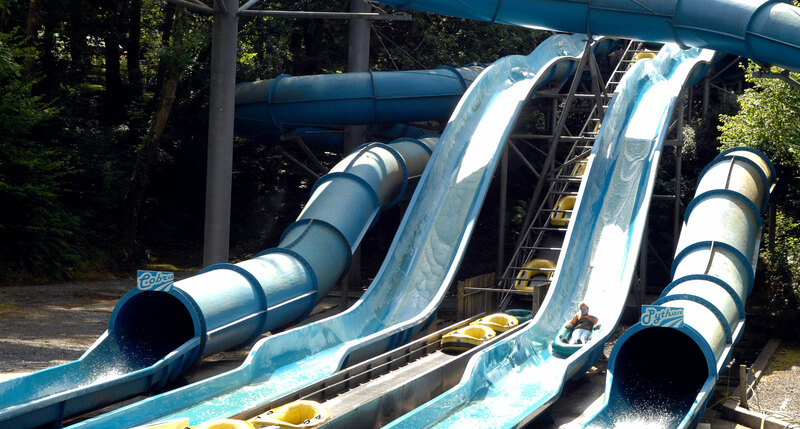 Hop into a boat (together or alone) and prepare for a splash at the end when you come out of these water flumes!To ensure the enjoyment of your day, this ride opens at 11am every day. Ahoy, me hearties! Climb aboard and hold onto your hat – it may be a rough crossing on this pirate ship! We’ll toss you from side to side across the seven seas. For younger pirates, there’s a half swing every hour. Take a cruise on one of our pedal boats around the lake surrounding the park. 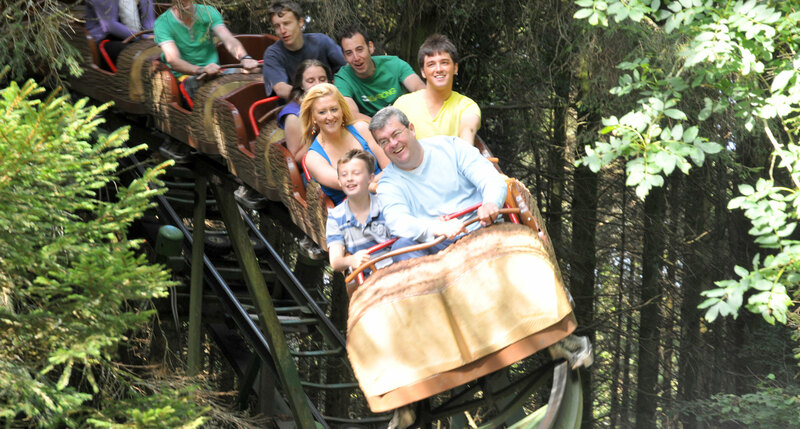 You’ll get the chance to see parts of the park up close – look out for the brave rollercoaster fans on Megafobia! 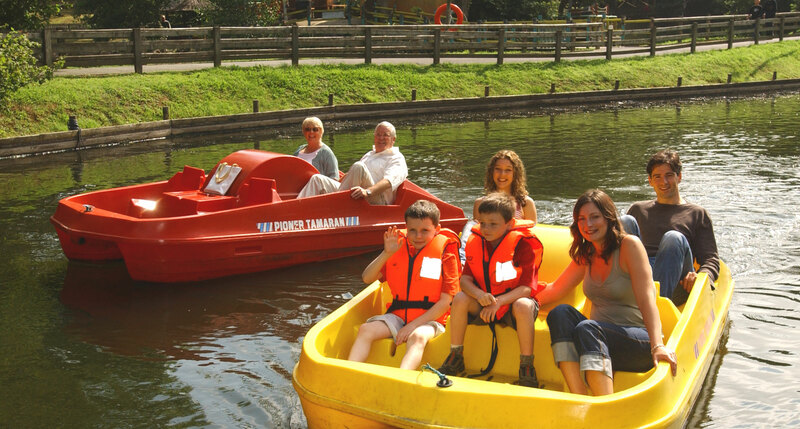 Each pedal boat fits up to 5 people, so the whole family can jump right in. You’ll just have to agree who’ll do the pedalling! Guests under 1m must be accompanied by an adult. Life jackets must be worn by everyone aged under 13. To ensure the enjoyment of your day, this activity opens at 11am every day. 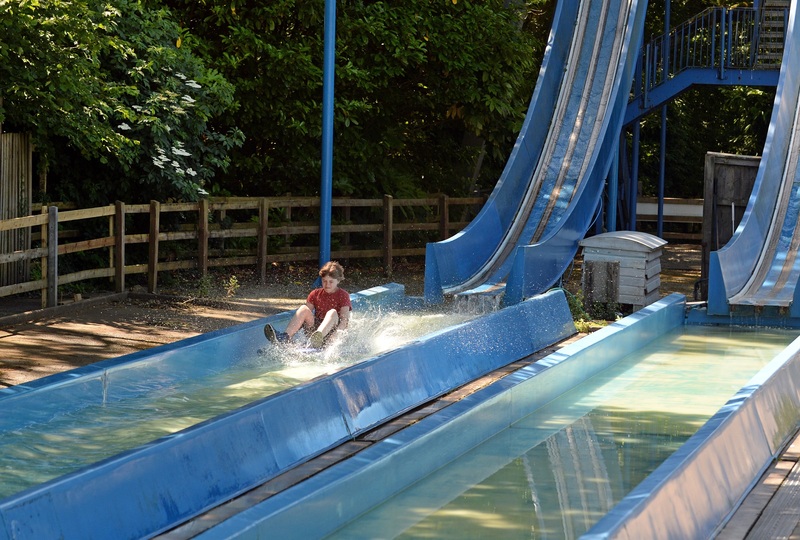 Arguably the most extreme water ride there is in the UK, Waterfall guarantees a splash! Climb up the steps to our tall tower, hop into a ‘tea tray’, and brave the flume to the pools below. You’ll want to hold on tight and keep your balance, or you may end up swimming at the bottom! Not a fan of the idea? This ride also makes for a spectacular spectator-spot throughout the day because you’re sure to see some people soaked as they clamber out! To ensure the enjoyment and success of your day, bear in mind that Waterfall opens at 11am each day. 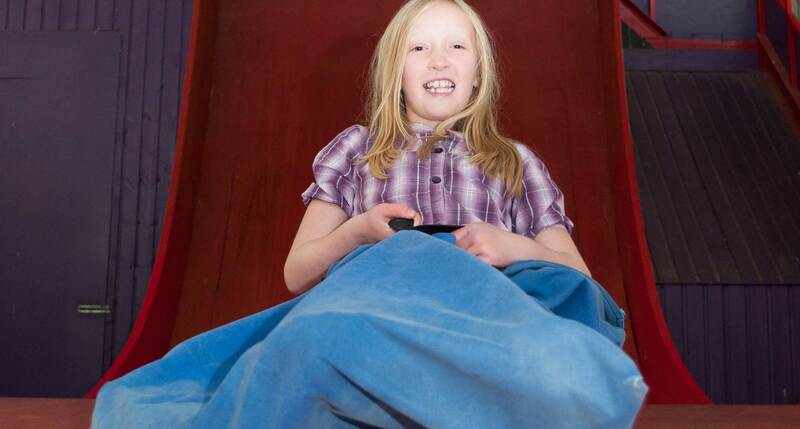 Are you brave enough to tackle our almost-vertical drop slide? Walk up the steps, grab yourself a sack, and prepare for the plunge to the bottom! 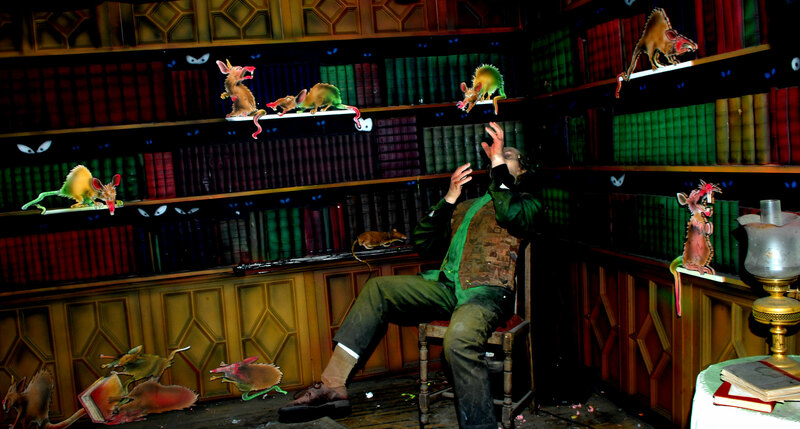 Mix together three frogs legs, five cats eyes and a lizards tongue all with a spoonful of sugar…! 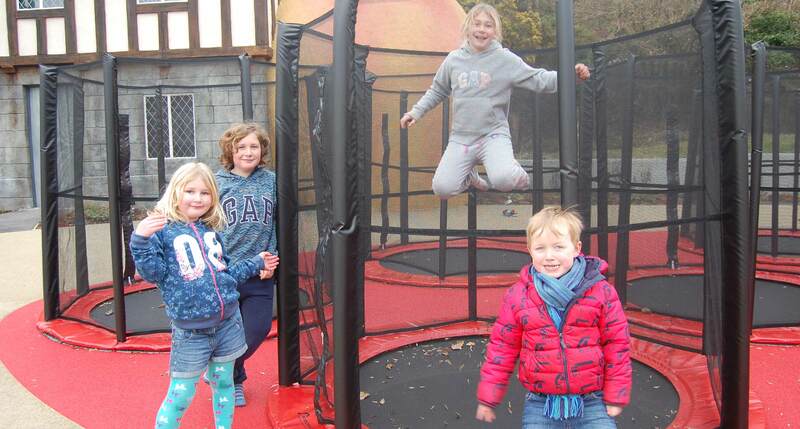 Enjoy your very own trampoline Cauldron – but watch out for the witches.